Cleveland & Columbus Lawn Care Reviews & Testimonials! "After my son's graduation party, my lawn started dying and getting weeds. With one application, all my weeds died and my lawn came back better than ever. It was amazing!" The Lawn Care Problem: After her son's graduation party, Marlene knew she had a problem with her lawn. "Weeds were everywhere. I didn't know where to start, or want to even attempt to fix the problem myself," Marlene said before she decided to hire Weed Pro. 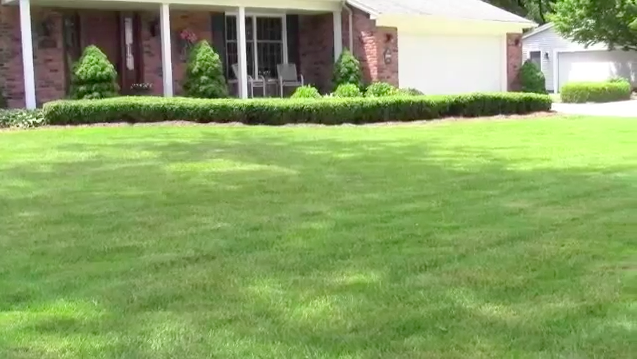 How Weed Pro Helped: After signing up with our Deluxe Lawn Care Program, Weed Pro went to work immediately, providing Marlene's lawn with the nutrients it needed to thicken up, while eliminating the weeds in her lawn. Marlene was beyond impressed with the results. "With one application, all my weeds died and my lawn came back better than ever." What would Marlene say to someone considering Weed Pro? "My yard is such an important asset to my home. It's the place where my family likes to relax and enjoy our weekends and evenings. Weed Pro has allowed us to enjoy it even more." Receive 2 Free Treatments with the purchase of our DELUXE Lawn Care Package! Shaun Kanary has been a part of the Green Industry for the past 15 years. As the Director of Marketing for Weed Pro Lawn Care, a Cleveland and Columbus Lawn Care Service Provider, Shaun is a regular contributor to the Weed Pro Blog, and other industry magazine and blogs.